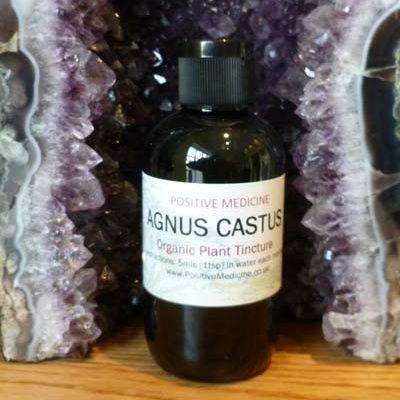 Organic agnus castus tincture has a positive effect on the balance of female hormones. Agnus castus, or Vitex as it is also known, acts upon the pituitary gland which signals the increase in production of some hormones and restricts the production of others in order to regulate the cycle. Vitex Agnus Castus has a strong affinity with the menstrual cycle and has proved beneficial for associated symptoms such as: pre-menstrual tension, infertility and menopausal flushes. Agnus also used for acne, pimples and spots, when the cause is associated with hormonal balance, as can happen during adolescence, in males and females. Agnus castus has been used in Europe for many years as a natural hormone balancer.